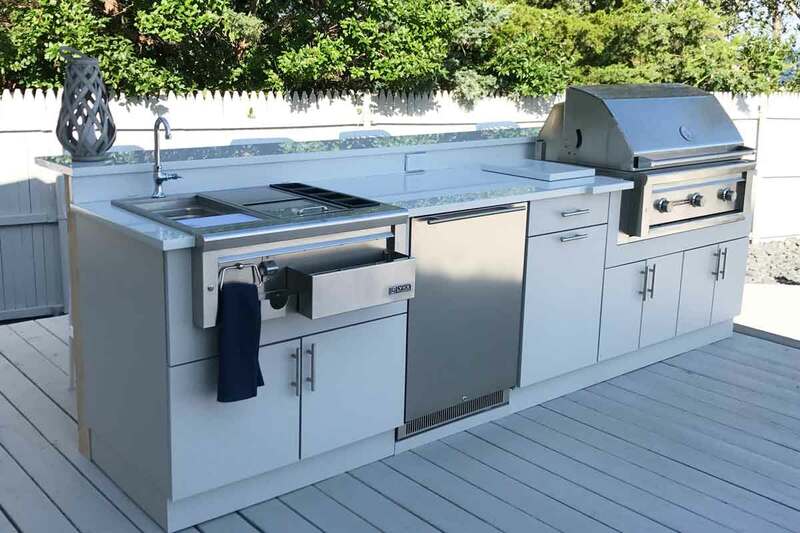 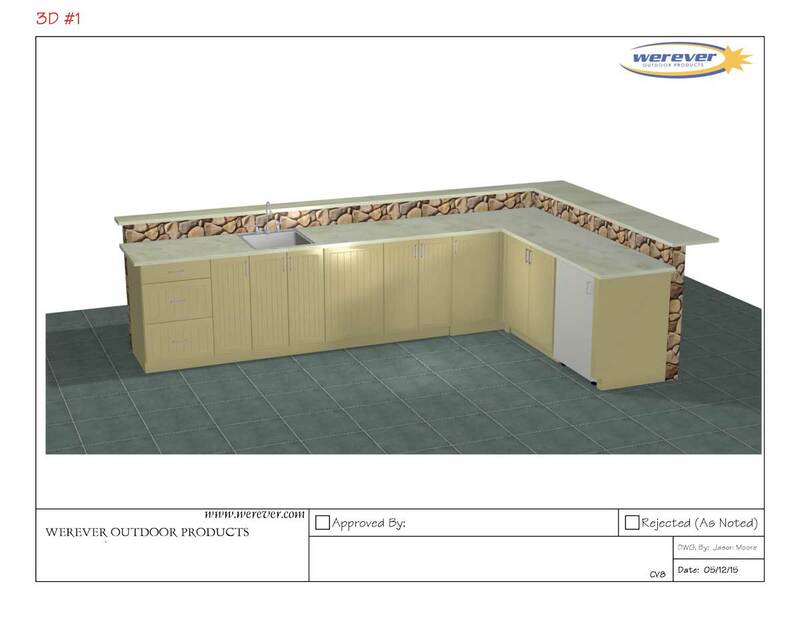 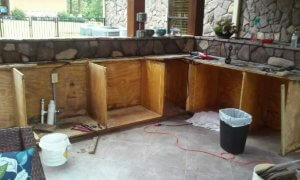 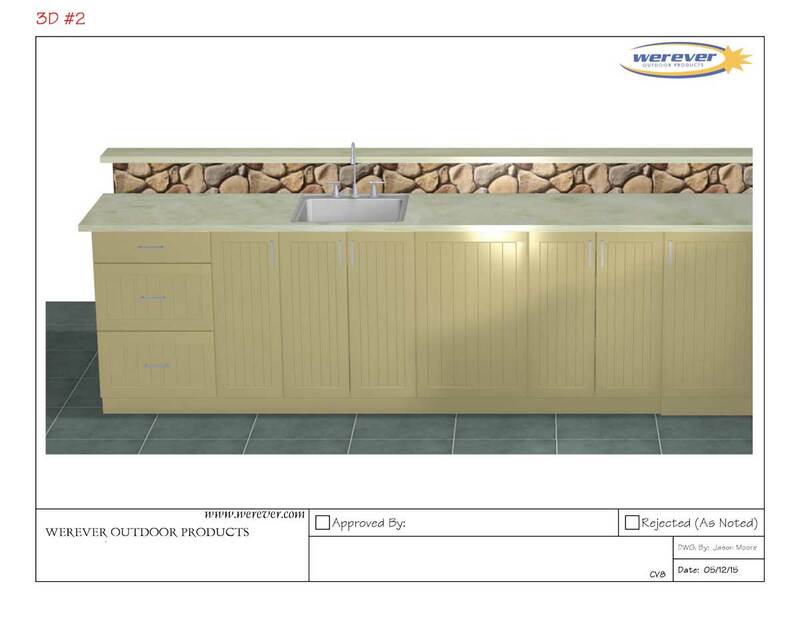 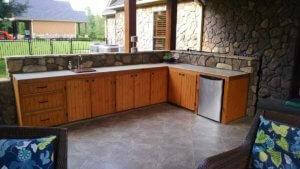 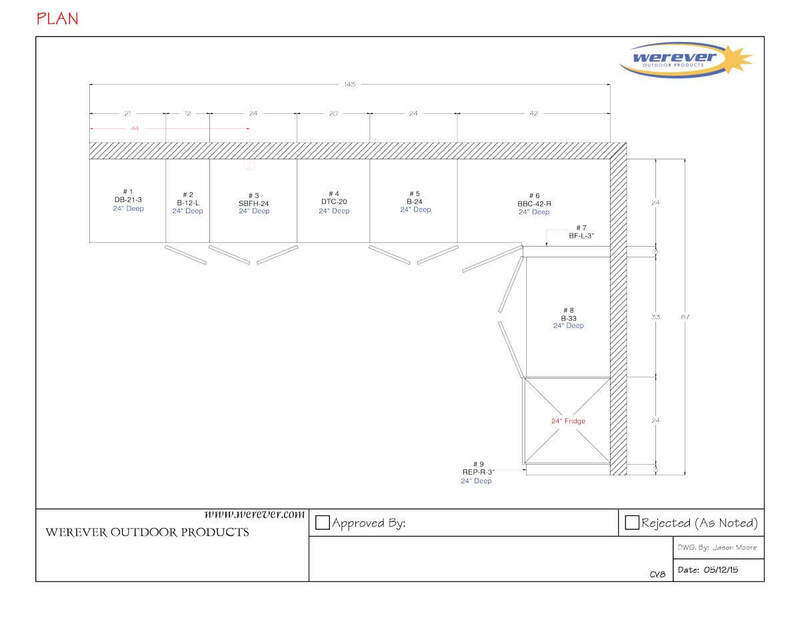 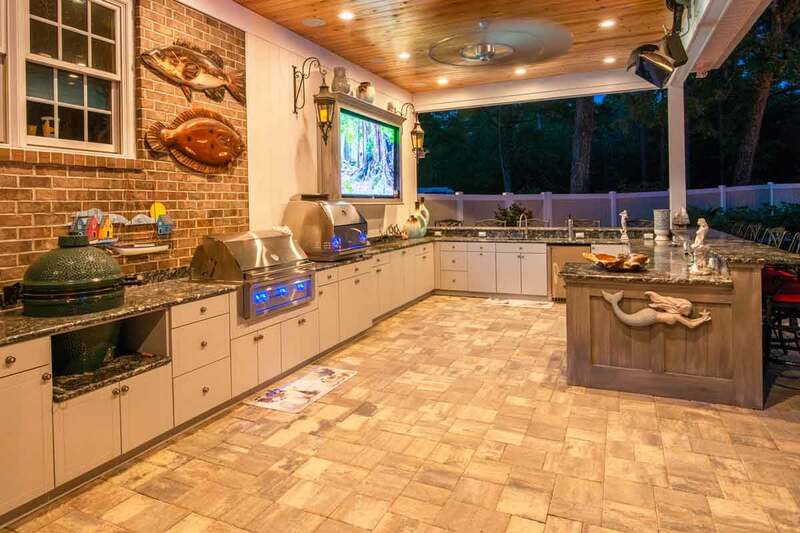 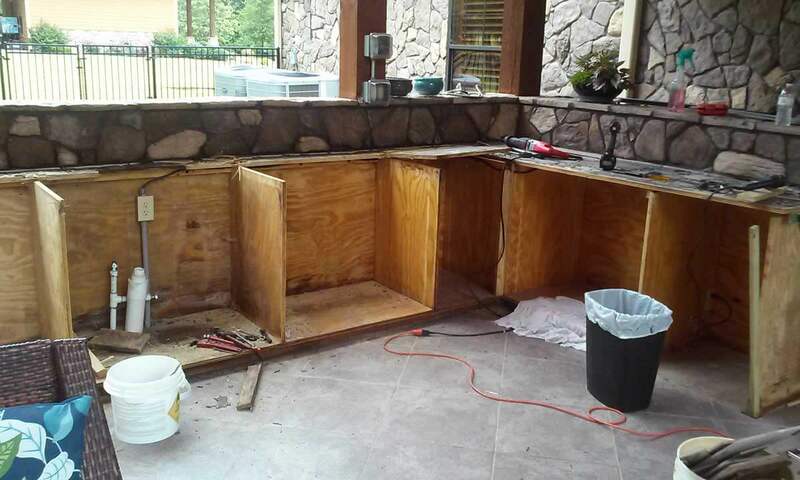 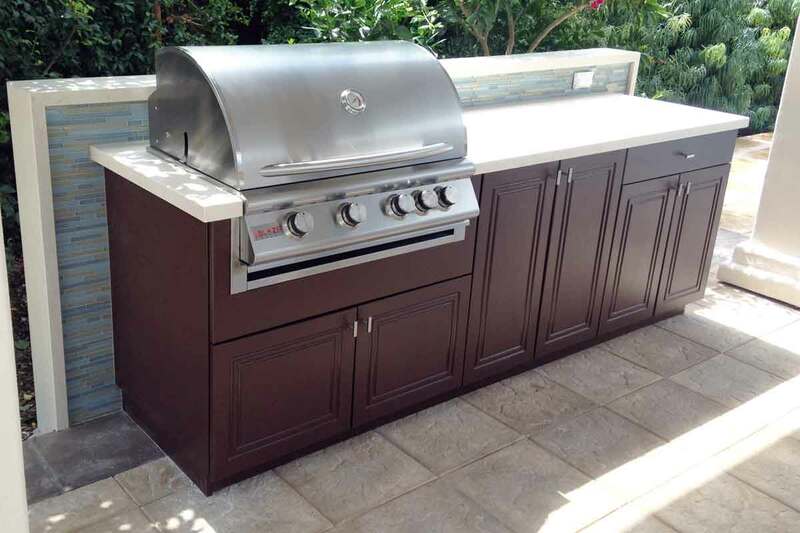 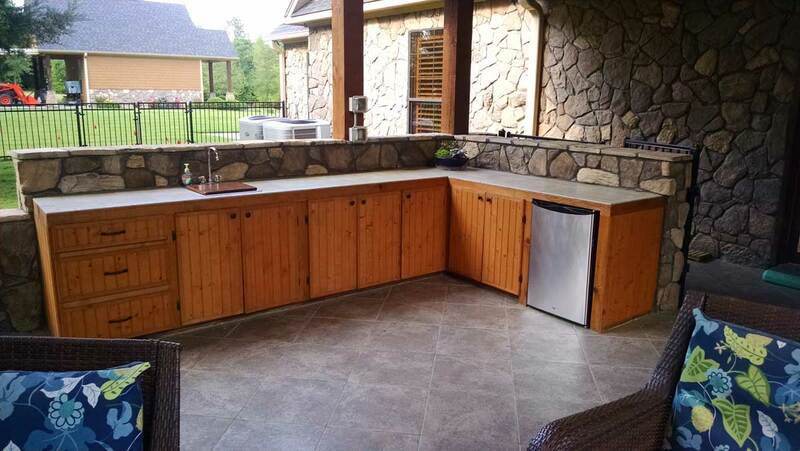 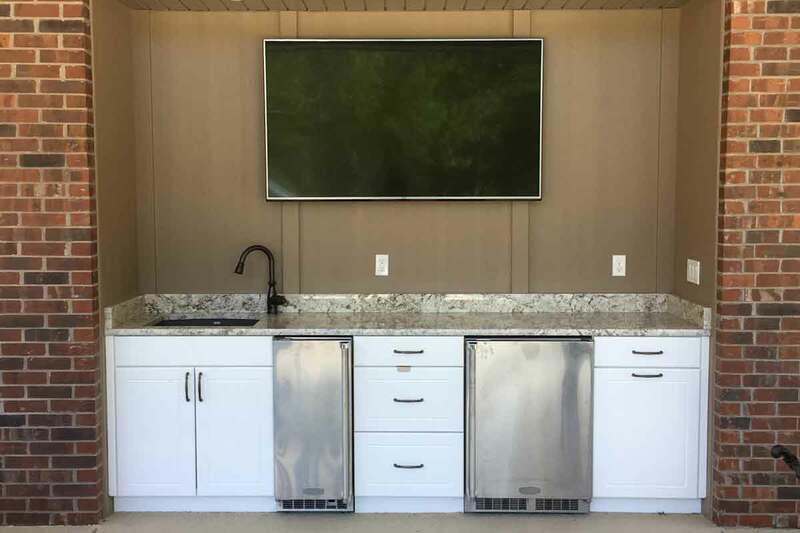 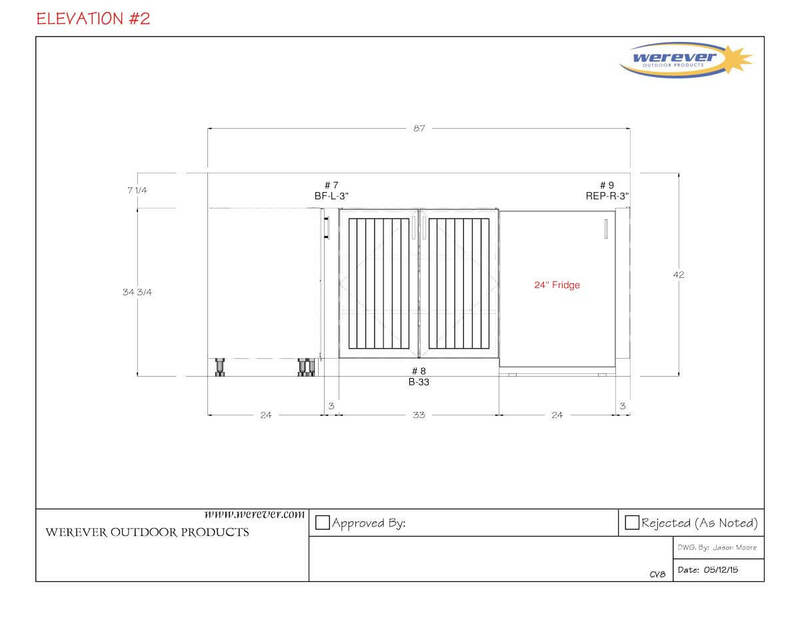 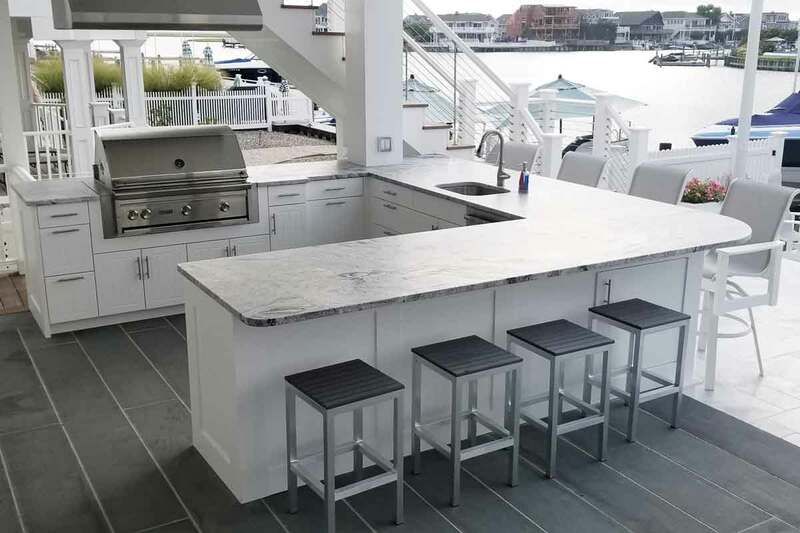 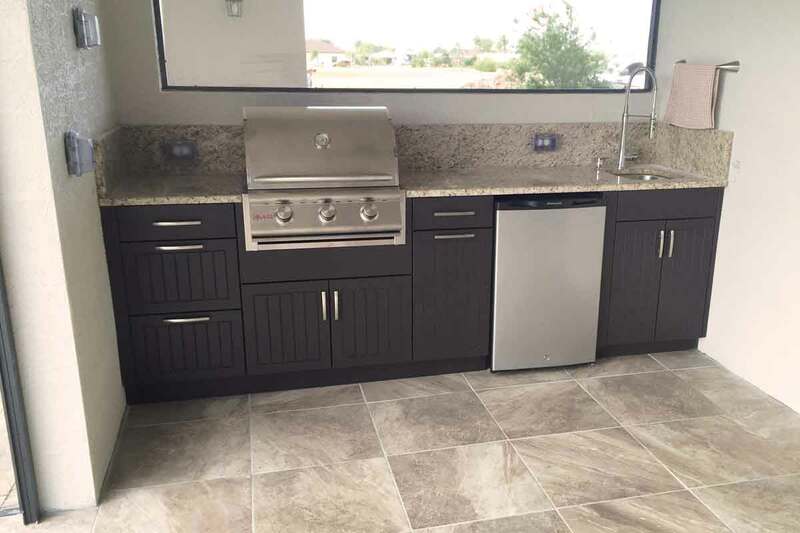 This 11’-11” x 7’-3” outdoor kitchen was an existing kitchen framed with wood cabinets that were falling apart. 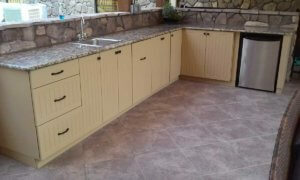 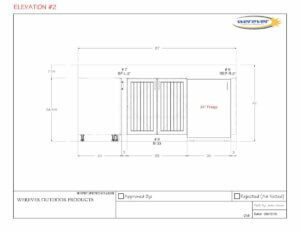 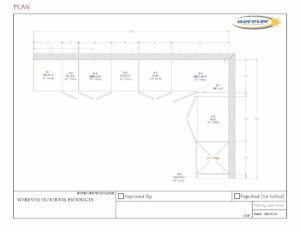 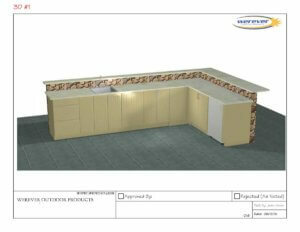 The customer in Texas wanted the new cabinets to fit the same footprint of the existing kitchen. 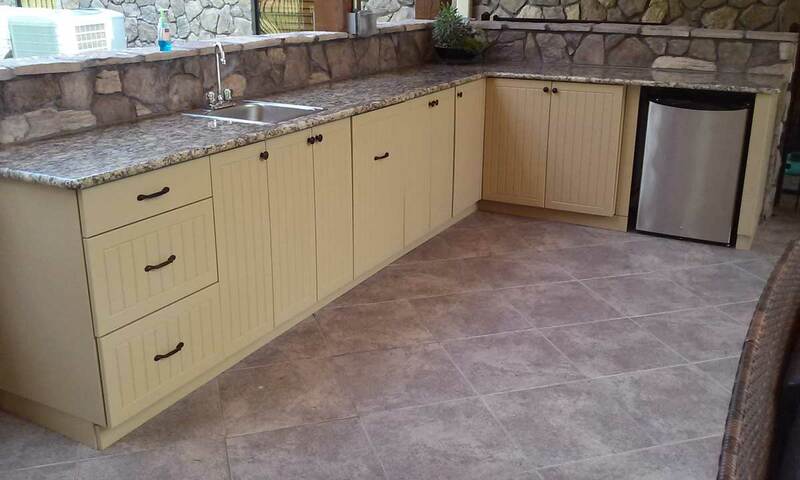 We were able to achieve this without any loss of storage to what was already existing, and the customer even gained additional storage in the previously dead corner with the addition of a blind corner cabinet. 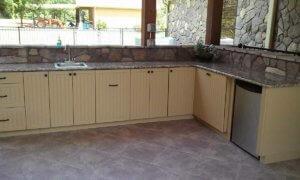 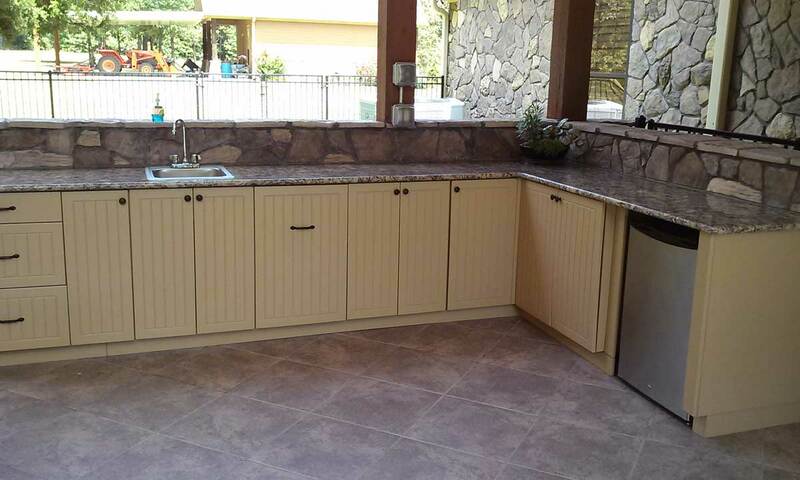 The customer was able to keep their previous sink and outdoor refrigerator and gained a double pull-out trash cabinet.